Trying to decide whether or not to splurge on organic whey? The Supplement Guru's insight will make your decision whey easy! Q: Is it worth paying a little extra for "organic" whey protein powder? Are there any additional benefits to using it? Let me start by saying that I'm a big believer in organic dairy products like milk, cottage cheese, and Greek yogurt—especially if they come from well-raised, grass-fed cows. I also like organic fruits and vegetables, which are worth the extra cash because less pesticides are used. But organic whey protein powder? Not so fast. Some readers might find my thumbs-down on organic whey contrary to my thumbs-up on organic dairy, since whey protein comes from milk. After all, whey protein powder manufactured from organic, grass-fed milk must be better than plain old whey, right? Not necessarily! First, you need to consider what exactly makes milk from grass-fed cows better for you. It's the fat! Organically pasture-raised, grass-fed cows have higher amounts of the all-important and essential omega-3 fats, conjugated linoleic acid (CLA), and vitamin E (a fat-soluble vitamin) than their grain-fed counterparts, and these nutrients are found in the milk fat. But whey is processed to isolate the protein from the carbs and the fat. In fact, a quality whey protein isolate has close to 100 percent of the fat removed. This means that if a protein powder manufacturer claims their protein is grass-fed whey protein simply because it came from grass-fed milk, nearly all of the extra omega-3 fats, CLA, and vitamin E have been removed during the manufacturing process, making it virtually identical to regular whey protein! When you look at it this way, there is little sense in paying more for whey protein from organic grass-fed ingredients given the fact that all the additional health benefits are completely removed in the manufacturing process. As for the protein content, the protein in milk from grass-fed cows has the same amino acids and structure as protein in grain-fed milk. Gram for gram, amino acids are amino acids, regardless of whether the milk they come from is organic. But what about those pesky pesticides? You might have also heard that organic whey protein is free of antibiotics, hormones, and pesticides. But, due to the rigorous processing that whey protein already undergoes to isolate the whey protein from everything else in the milk, none of those contaminants should be left behind to make it into the jug of protein powder you're buying. Furthermore, none of those chemicals alter the structure of the whey protein molecules that are isolated from milk protein. So, again, there's no difference between regular whey protein and grass-fed protein in regards to any contaminants. Are you wasting money on whey? If you prefer to use grass-fed whey protein powder for ethical reasons, then by all means, fork out a little extra cash for the stuff. If, however, you think organic whey protein will offer up superior health benefits, or you're concerned about antibiotics and hormones, your money may be going to waste. Don't get sucked into this trap and waste your money on organic whey protein. Any high-quality whey protein has the same amino acid profile as organic whey protein, and due to the manufacturing process all whey proteins undergo, normal whey isn't going to contain any contaminants. If you are still concerned with what could be in your protein powder, stick with a whey protein isolate, as its manufacturing process gives it the lowest possible potential for trace amounts of hormones, antibiotics, or pesticides. 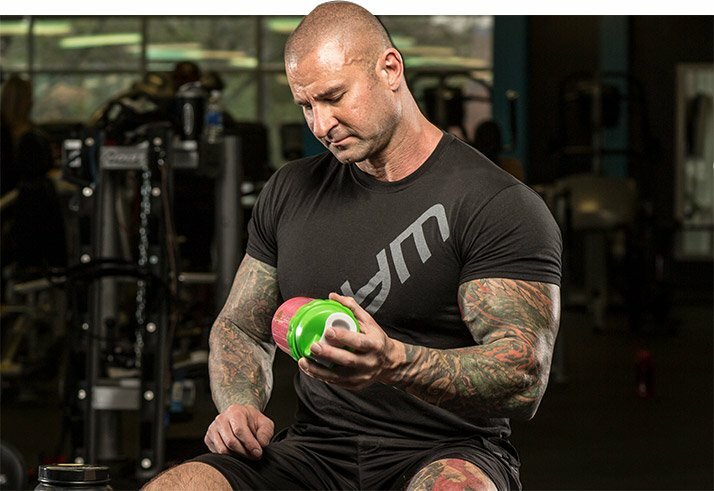 For more nutrition and supplement articles, as well as full training programs to complement them, check out JimStoppani.com.